Want to increase productivity and focus at work? It’s time to harness your intuitive leadership! 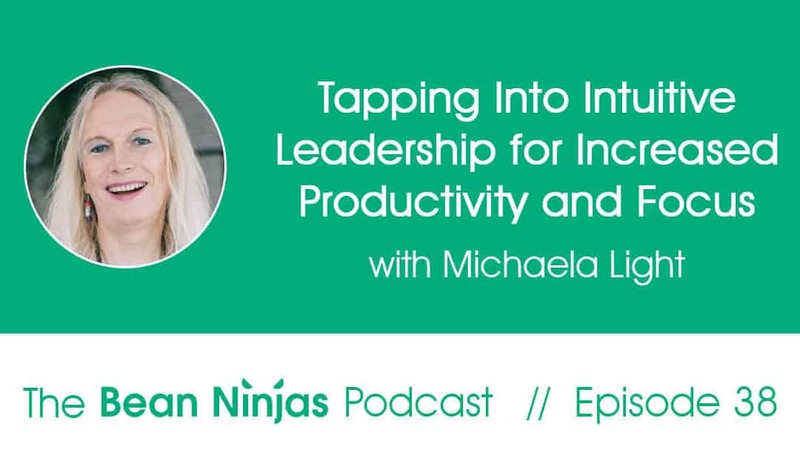 Michaela Light, the founder of Intuitive Leadership Mastery, is a transformational coach and author of books “Intuitive Leadership Mastery” and “What Would It Take?”. Michaela helps CEOs dramatically increase their business intuition so that they can grow their business faster with less stress. Michaela has also been running her first business TeraTech for over 30 years. Michaela believes that leaders who use their intuition more will make less stupid decisions that hurt other people or the planet. In business and our day to day lives, we are programmed to think rationally. We create endless to-do lists, goals and deadlines. So why then do so many leaders and entrepreneurs struggle with achieving their goals? Often times it comes down to making decisions and doing things that are not in alignment with who we are (or who we want to become). 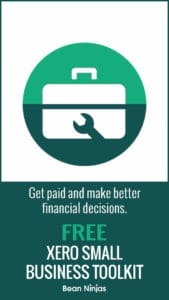 So developing your intuitive muscle can go a long way to helping you make better decisions in business and in life. That’s all great, but where do you go if you want to improve your intuitive leadership? Thankfully, coaches like Michaela are here to help! Whilst there are multiple ways to develop intuition, here are three that you can get started with. 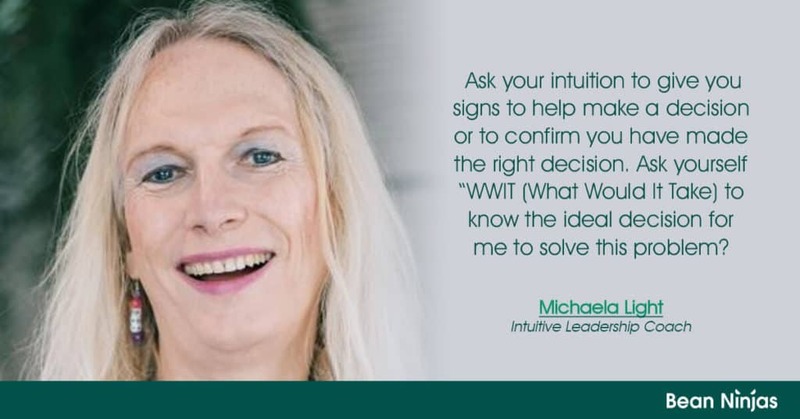 Michaela’s WWIT is an intuitive tool used to help you access your business intuition and help you succeed. “First, we clearly define the problem. Next, we ask the WWIT question. What Would It Take for me to succeed? In the video below you can see Michaela putting this into action with her client. Oftentimes it’s more effective to work with another person in order to identify the root cause of any presenting problems in your life or business. That’s where an intuitive business coach can be helpful. Here is Michaela working with a client on overcoming some money blocks. When we are constantly surrounded by people, the never-ending noise of social media, and external messages – it’s extremely hard to hear our inner voice. So taking a break, and scheduling time to disconnect from people and the online world, and get into nature is a powerful way to center yourself. You can also try meditation, yoga, gardening or any mindfulness practice.